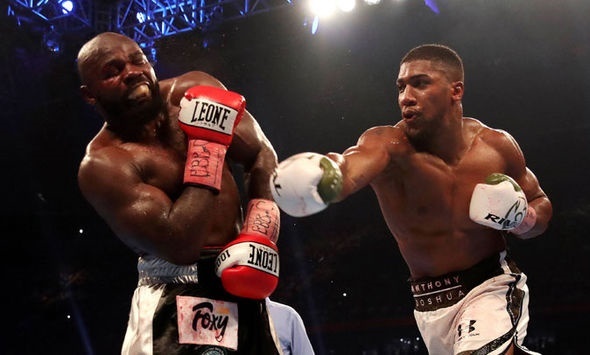 Takam became Joshua’s 20th consecutive knockout victim in Saturday night's fight in Cardiff. Nigeria-born British Boxer, Anthony Joshua is not just winning his bouts but he has been knocking out his opponets. His latest victim is France-based Cameroonian boxer, Carlos Takam who kissed the canvas in the tenth round on Saturday's fight at the Principality Stadium in Cardiff. “It was a good fight until the ref stopped it. I have the upmost respect for Takam,” said Joshua, who injured his nose from a headbutt in the second round. “Imagine if it’s broke and I couldn’t breathe and he started catching up in the middle rounds? It would have been a disaster, so I kept my cool. You have to control these situations because, if I showed any signs of weakness, the ref could have jumped in," he added. It had been announced that a delegation from Nigeria embarked on a jamboree to Cardiff to 'cheer' Joshua to victory. The delegation was meant to be made up of the Ogun State Governor, Ibikunle Amosun, Solomon Dalung and Lai Mohammed among others.